I found this amazing recipe via Pinterest and had to try it out. Over the weekend, I had the opportunity to test it among all of my friends as we were celebrating my friend Rachel’s birthday! 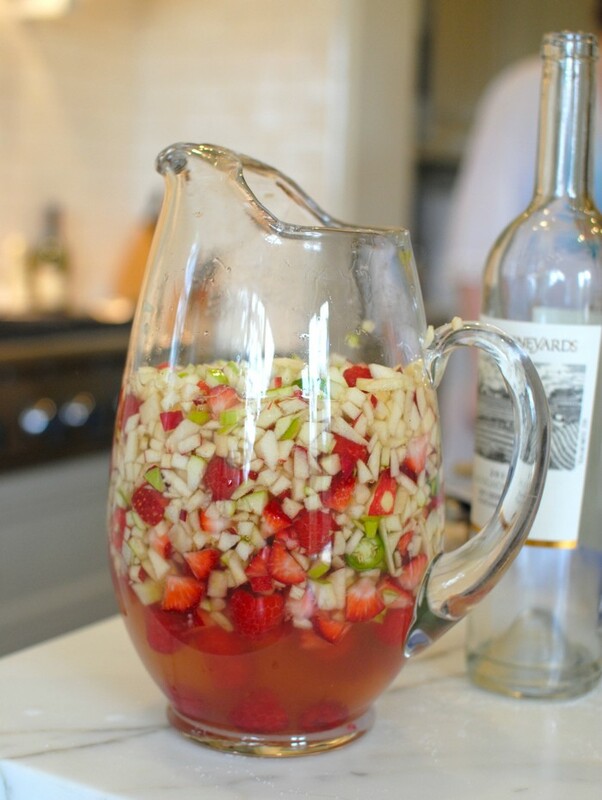 It’s pretty easy to make and delicious – there was a ton of fruit left over in the pitcher, so we just used it as an extra garnish in other drinks we made. 1. 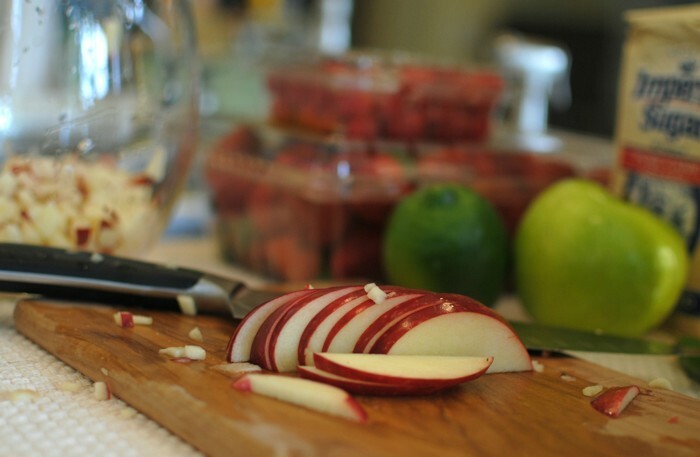 Finely dice both the apples and the strawberries and then cut both the lime and the serrano pepper into fairly thick slices. 2. 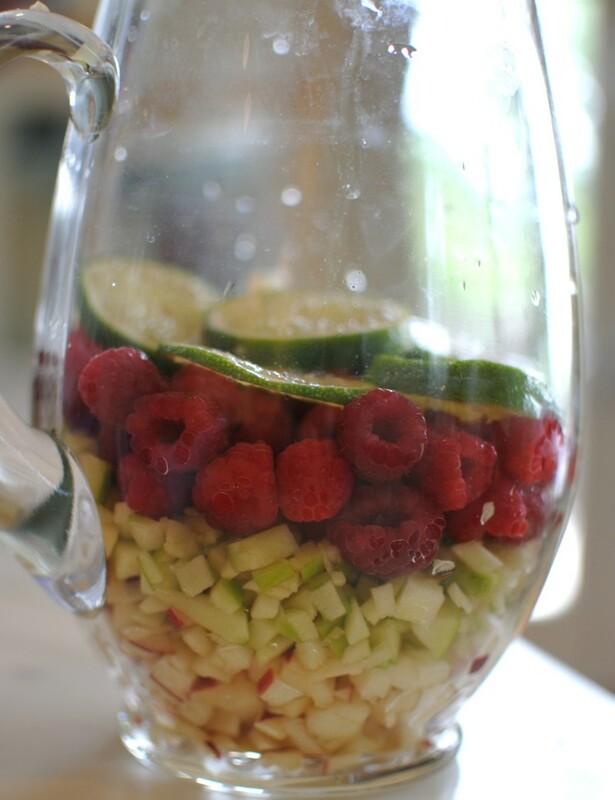 Layer all of the the different fruits in a tall pitcher, adding a dash of sugar in between every layer. 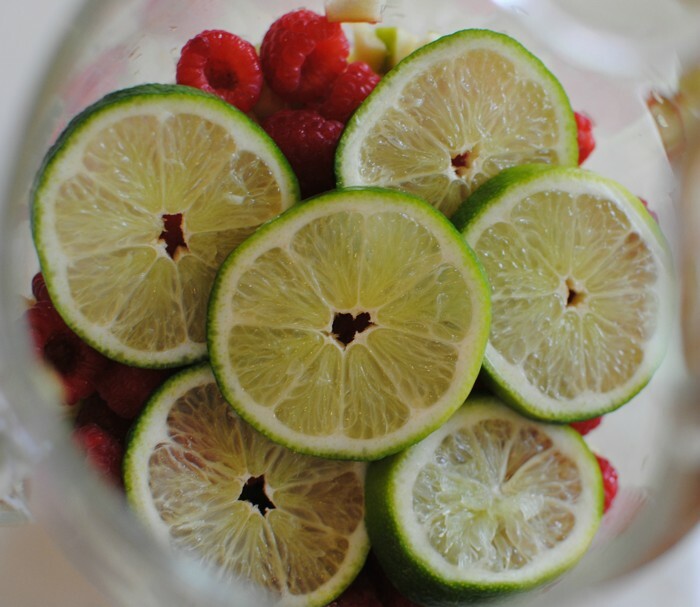 For an interesting twist, you could use honey or agave instead of plain sugar. 3. 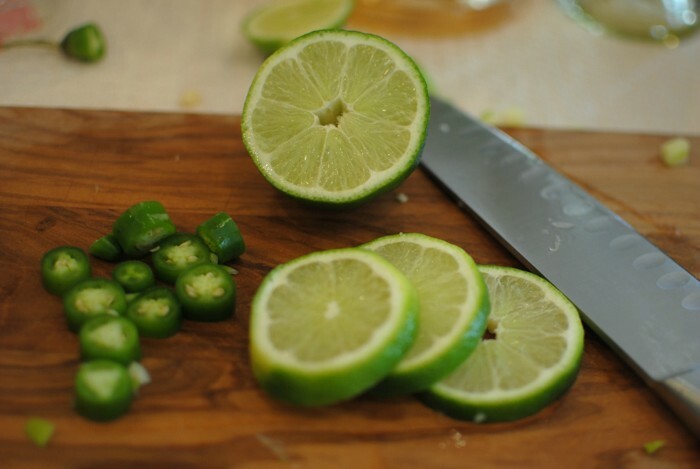 After all of the fruit has been layered, add the sliced serrano chile and the remaining sugar. Let sit for 10 minutes. 4. Add the wine to the fruit and sugar mixture. 5. Add the white grape fruit juice and top it all off with the club soda. Place in the refrigerator to chill. 6. 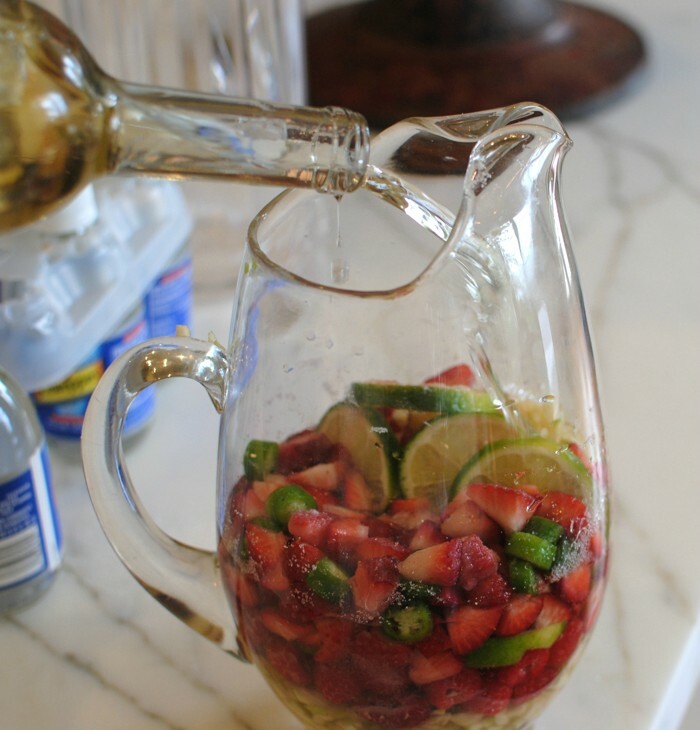 Once the sangría has chilled, bust out your favorite wine glasses, pour and enjoy!